A visit to the temple of Poseidon makes a cool half-day trip from Athens and also gives you the opportunity to see the stunning coastline. I visited the temple a few weeks ago and it’s quite easy to get there independently. And especially with the tips below, your visit by public bus to the temple of Poseidon from Athens should go nice and smooth! 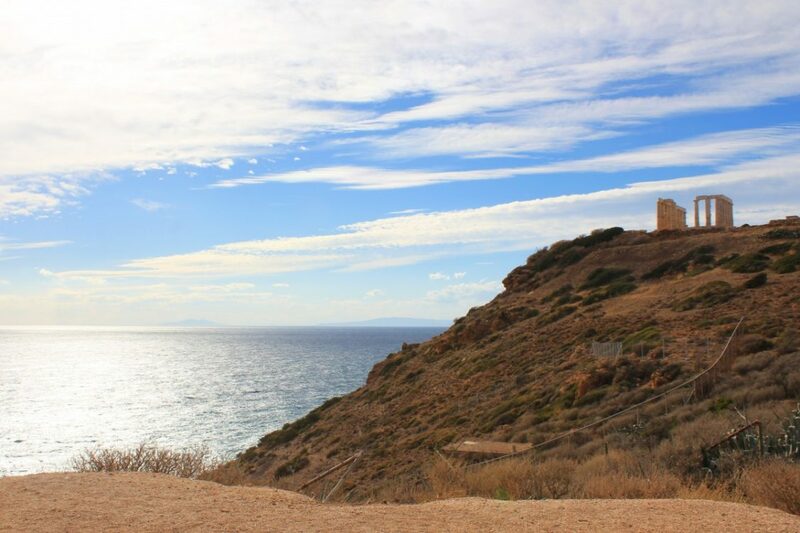 Where to take the bus in Athens to Cape Sounion? What time do the buses from Athens to Sounion leave? 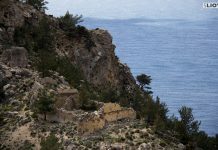 –> Check out these 7 other day trips from Athens to do yourself (including Hydra, Meteora and Delphi)! 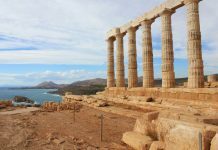 Where to take the bus in Sounion back to Athens? What time do the buses from Sounio to Athens leave? It’s probably easiest to take the bus at the main bus station ‘Mavromateon’. This is what I did: I walked from the Omonia metro station, passed the famous National Archeological Museum and you’re there. 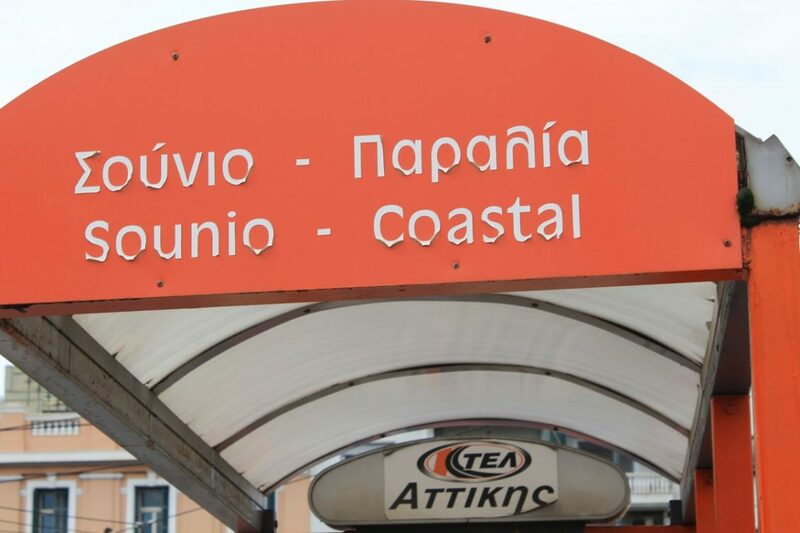 Ask around for the bus to Cape Sounion/Temple of Poseidon and you will be pointed to the right stop. Make sure to double-check this. It’s marked with a Sounion sign plate and it’s located in front of a busy traffic road. Note: In my case, the bus left from the left next to the official Sounion stop, so keep an eye on all busses. Note: The bus also passes by a few other central points in Athens (such as the Acropolis station and Syntagma Sq.). Ask your hotel/hostel if the bus stops nearby and at which times. The bus to the temple of Poseidon via the coastal road leaves every hour from 07.30 until 17.30 from the main bus station. There is also suppose to be one at 06.40 AM. Update April 2017: according to some readers (Ahmed and Russ) this is the new schedule and price. Thanks for the info! Update February 2018: according to reader Mac, this is the latest timetable of the KTEL buses from Athens to Sounio. It now leaves 07.05, 08.05, 10.05, 11.30, 13.05, 14.05, 15.30. This is the official website of the KTEL bus company. The bus is quite comfortable. You will probably sit on the bus with many (old) Greeks and maybe one or two fellow tourists. Make sure to get a seat on the right side of the bus to fully enjoy the beautiful coastal views. 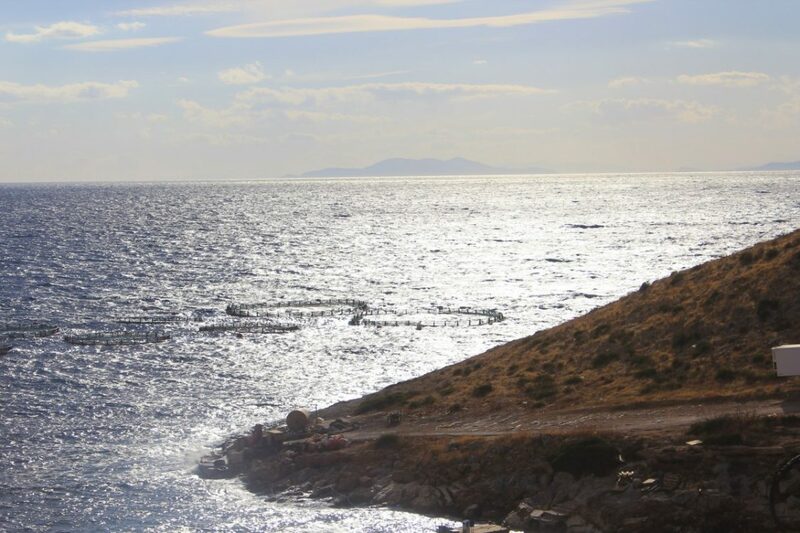 My heart literally skipped a beat when I first saw the Aegean sea. What a beautiful sight! During the bus ride, you will pass by a number of beautiful beaches. These also make excellent stops (especially during summer). In the bus, you will have a driver and a bus assistant. You will pay for your bus ticket at the bus assistant. It will cost about 5 euro for a single way ticket (according to reader Will it’s now about 7 euro for a single way). During our ride, we even switched buses at some point (SE Asia flashback! ), but I’m not sure if that’s always the case. It takes about 90 minutes to reach Sounio and the temple. You made it! The gorgeous temple of Poseidon (God of the Sea) (find more info on the official Visit Greece website) was constructed in 444–440 BC and is located at a hilltop overlooking the sea. There is a small entrance booth and an overpriced restaurant. If you have time you can walk down for about 20-minutes (down the same way the bus came) and also take photo’s from a parking lot. The Cape Sounion bus stop is located right next to the temple of Poseidon. It’s the last stop of the public bus. 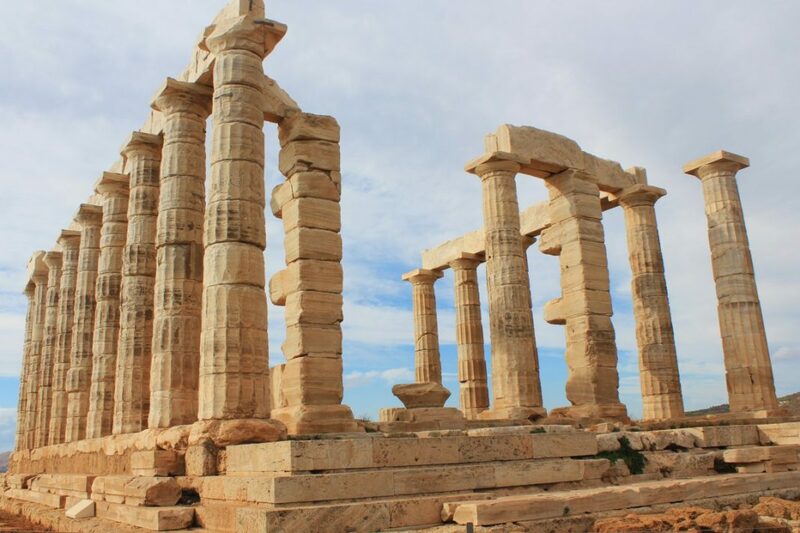 The buses via the coastal road leave every hour from 08.00 until 20.00 from the Sounion bus station. After the 10th of October the last bus leaves at 19.00. Unfortunately, this makes it more difficult (impossible) to see the sunset. Always check the sign for the most recent bus schedule! A gorgeous day at the temple of Poseidon, Cape Sounion, Greece. Copyright Bunch of Backpackers. Manouk at the temple of Poseidon, Cape Sounion, Greece. Copyright Bunch of Backpackers. 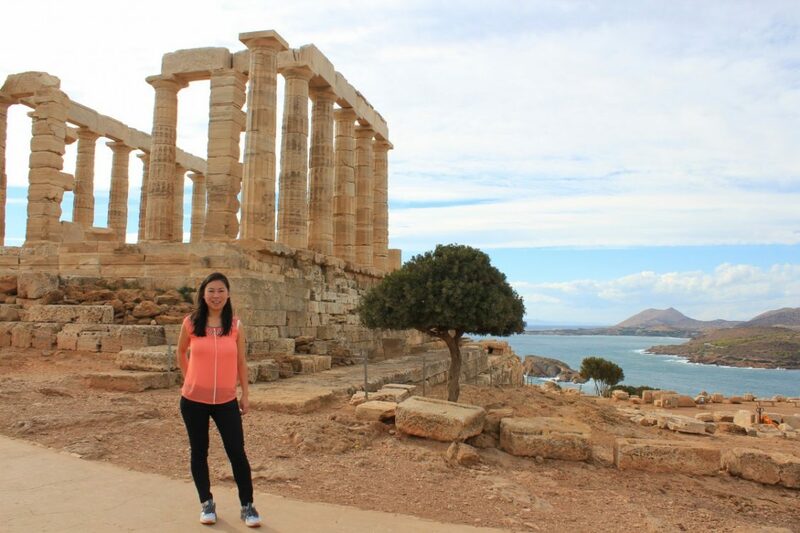 At the temple of Poseidon, Cape Sounion, Greece. Copyright Bunch of Backpackers. I stayed in two different accommodations in Athens. 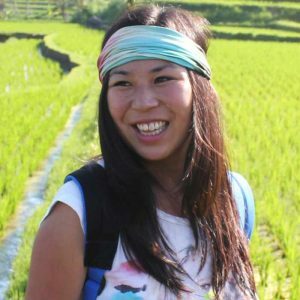 First, I stayed in the Athens Backpacker Hostel, which is perfect for those on a strict budget. I also stayed a few nights in the centrally located, affordable, but fancy Hera Hotel, with Acropolis views! 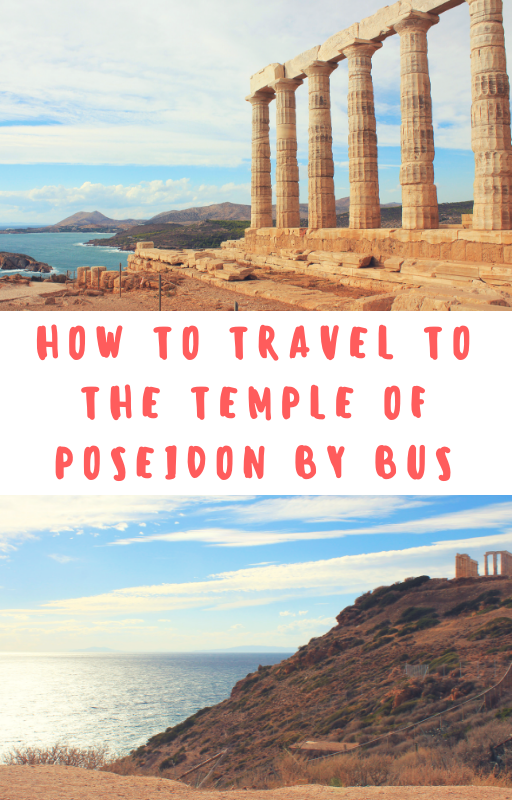 How to travel by bus to the Temple of Poseidon from Athens? Did you take the bus to the Temple of Poseidon from Athens? 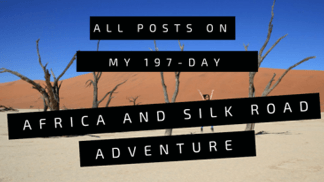 Let me know how it went and if you have additional tips for future travelers! 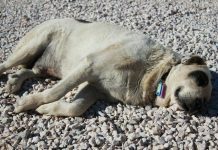 Find about why there are so many stray dogs in Athens. Europe has much to offer. 8 reasons why you should visit Luxembourg! 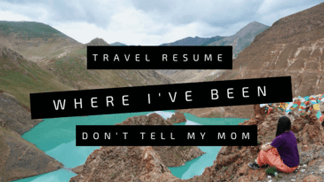 Best Day Trips from Athens – Do it yourself! What’s the deal with all those stray dogs in Athens? Leuke tip voor een DIY excursie. Je had ook mazzel met het weer. Zeker mazzel met het weer! Een paar uur ervoor deed ik nog een ‘walking tour’ in de stromende regen. Gelukkig klaarde het op :)! Wow … these ruins are a world away from the urban chaos that is Athens. A lot less tourists than the Acropolis, right? The bus stop is in Egypt Square (Patision Avenue with Alexandras Avenue). He Andrea, I’m not sure. I know it stops at some beaches, but I don’t know what the names are! Good luck!! The schedule changed the one mentioned here. Its now every hour starting 7:05AM until 16:05. There are also one at 6:10 AM and 17:30. For the way back to Athens its every hour starting 8AM to 8PM. This post was the most helpful information that I found to get to the Temple of Poseidon, thank you BoB! As previously stated, the cost now (Feb 2017) is 6.90 EUR (each way) which you pay on he bus. 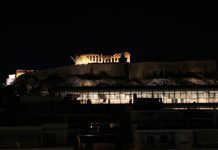 After visiting the Acropolis, this was the perfect finish to my trip. Cheers, and enjoy! Thank you for this informative tip. Going time – right side of bus; return to Athens – left side of bus, right?!!! We were able to find the bus stop with your great information! I am here now and pinned my location for an address. If you would like to add this to your information that would be the most helpful information you can give. We still had to walk around a bit to find the stop. 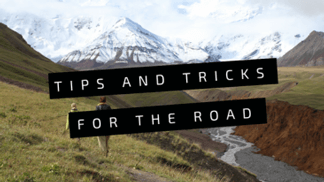 Having location address make for an easy going adventure in today’s Smart Phone age! Enjoy everyone! Right now the times have changed to the following… 8:05, 10:05, 11:30, 13:05, 14:05, 15:30… to check bus times visit the orange ticket box office place to the right of the stop directly in front of the park. They have the times postedthere. It seems to change a lot! It’s now EUR 6.9 for one way. You’re most welcome Vatsala! Glad to hear you had a fun day! !